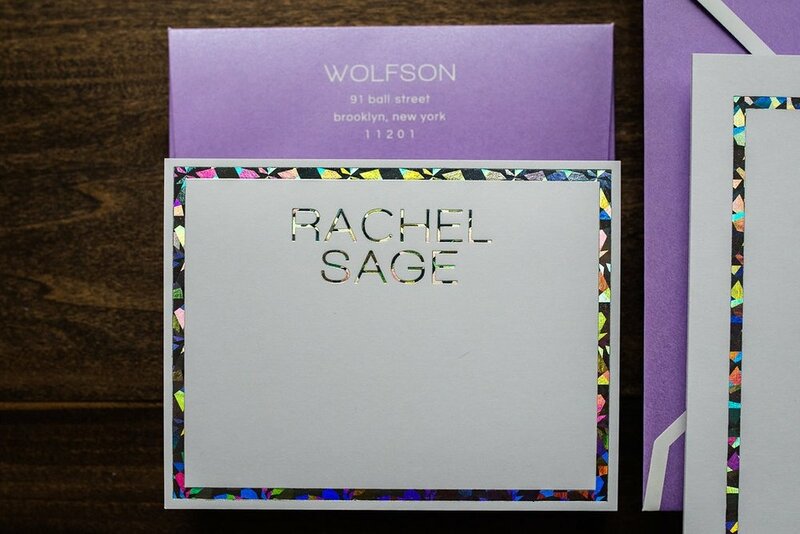 This modern square mitzvah invitation is full of sparkle and ready to party. Shown with a dazzling iridescent foil and shimmer orchid purple envelopes. All of our envelopes are custom made from premium thick cardstock, and we include upgrades like guest addressing, custom liner printing and envelope piping for no additional charge.